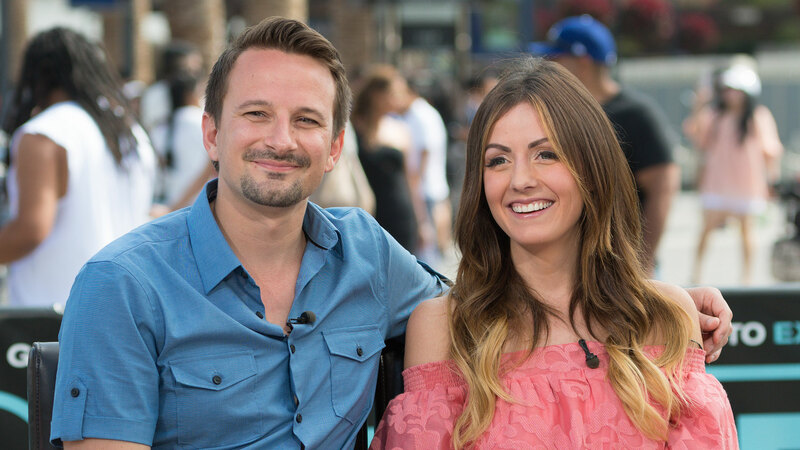 We have been smitten with Bachelor Nation's quirkiest couple — Carly Waddell and Evan Bass — ever since they didn't, then did, feel sparks on Bachelor in Paradise. The hilarious fan favorites met in 2016, got hitched in 2017 and welcomed baby Isabella 'Bella' Evelyn in 2018. (Whew, nice hat trick, Chris Harrison! You got something right, though we're still mad at you for Arie Luyendyk Jr.). “I was a fantastic lactation consultant,” Bass quipped. “I may be changing careers.” Bass also has three sons from a previous relationship, so this papa definitely has some street cred. Seriously, we could live without all the Bachelor helicopter rides and roses and fantasy suites and mascara-streaked hysterics. The series has (unintentionally) birthed fantastic friendships (like the BFF bond between Carly Waddell and Jade Liz Roper) and some ridiculously cute babies — who needs romance after all?